Acupuncture has been used for various conditions traditionally. 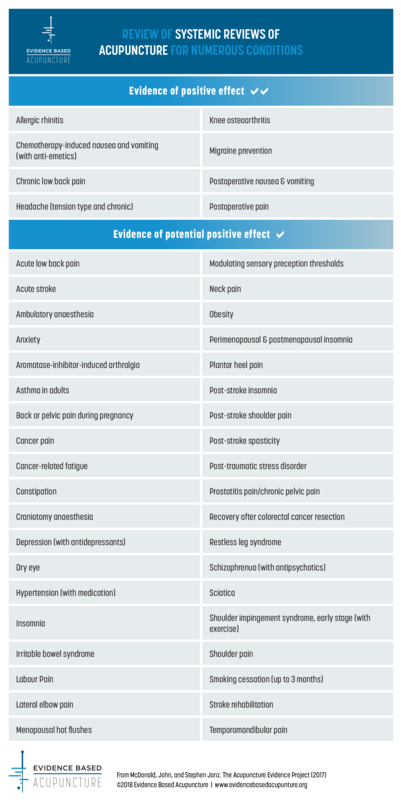 The World Health Organisation (WHO) did list over 30 conditions that can be effectively treated by acupuncture in 2003. Clinical studies in China and in the west show that many more conditions may benefit from acupuncture. 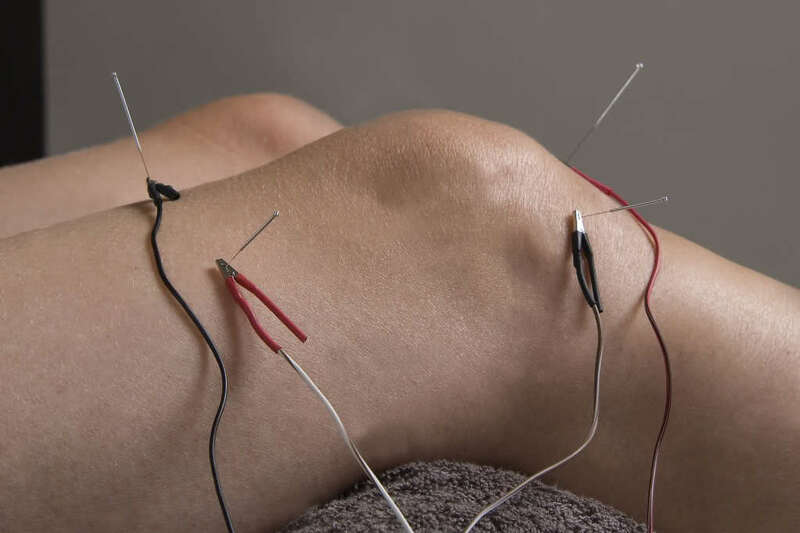 Research into acupuncture as a medical treatment has grown exponentially in the past 20 years, increasing at twice the rate of research into conventional biomedicine. Over this period, there have been over 13,000 studies conducted in 60 countries, including hundreds of meta-analyses summarising the results of thousands of human and animal studies.1 A wide-variety of clinical areas have been studied, including pain, cancer, pregnancy, stroke, mood disorders, sleep disorders and inflammation, to name a few. Acupuncture points are the specific points located along the meridians where the Qi (pronounced “Chi”, means energy) is both concentrated and accessible. Acupuncture engages the Qi by inserting needles at these specific points, the goal being to restore the proper flow of Qi. Each point has a predictable effect upon the vital energy passing through it and as the body regains its natural balance, well-being returns. Billions of people have testified that acupuncture is effective and lots of controlled studies both in China and West shown that acupuncture works for a variety of diseases. 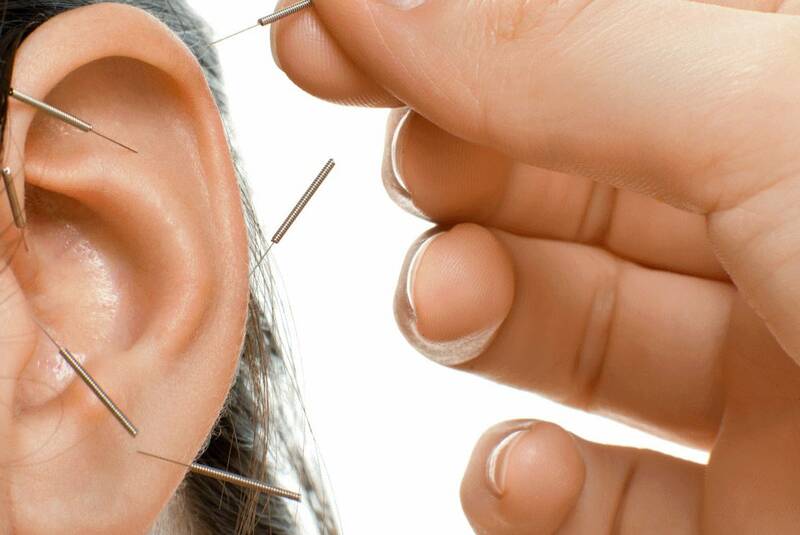 Some researchers found acupuncture stimulates the nervous system. It affects both peripheral nerve and central nervous system. Other researches revealed that acupuncture help brain release morphine-like substances (endorphins), which helps relieve the pain, calm and relax the body. Actually, most of our clients feel calming and relaxing during and after the treatment. 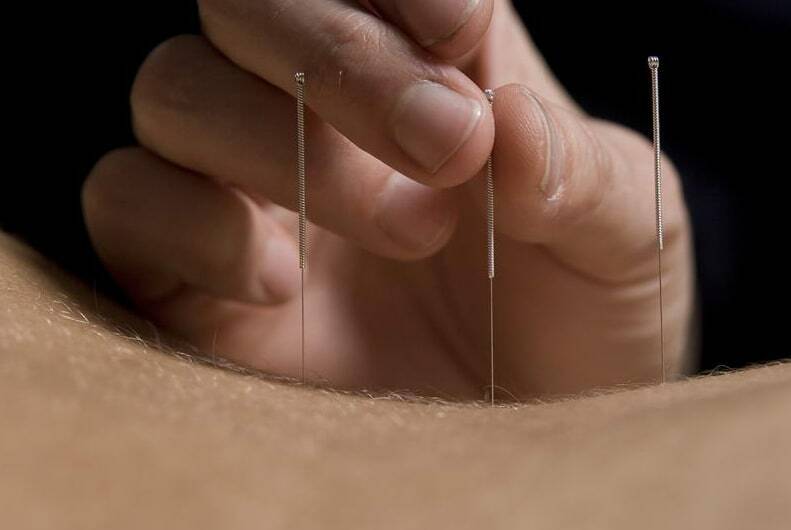 Many people shy away from acupuncture just due to “the fear of needles”. However, unlike the injection needles everybody knows, acupuncture needles are very fine and smooth. 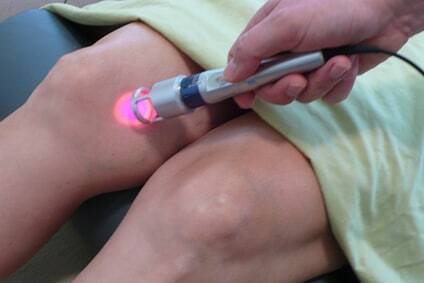 The gauge of some needles we used in our clinic can be as little as 0.12 mm. Most people feel no pain. When the needles are in your body (those acupuncture points), you may feel slightly sensation. They are either pressure, tightness, numbness or a sensation of heat. These sensation are called “De Qi” – feeling the energy, or “energy has arrived”. With the “De Qi” sensation, we can help adjust the energy, hence re-balance your energy. ~ National Institutes of Health (NIH, America) Consensus 1997. Acupuncture is generally considered safe when performed by an experienced, well-trained practitioner using sterile needles. Occasionally bleeding bruising or soreness may occur at the insertion sites. However with a good acupuncturist the risk can be reduced to minimal and usually no damage to your body. Safety is the first priority at Almond Wellness Centre. All of our acupuncturist are well trained fully qualified and experienced practitioners. Do we re-use the needles? Our acupuncturists are fully qualified conscientious practitioners. We follow strictly infectious control procedure in the clinic. Only sterile, single-use disposable needles are used in our clinics at all time.